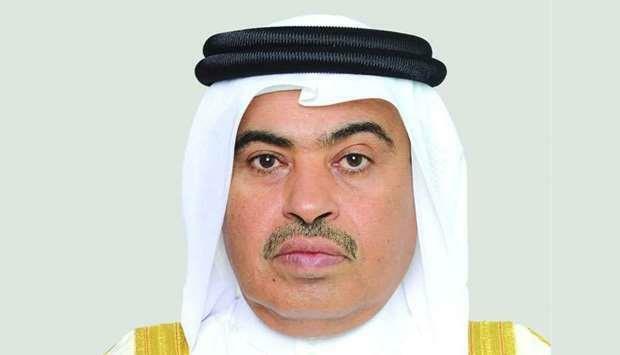 Qatar's governance and support mechanism that encourages public-private partnership (PPP) and facilitates private sector involvement in various infrastructure projects, is expected to attract billions in direct investments into the country, according to HE the Minister of Commerce and Industry, Ali bin Ahmed al-Kuwari. Several initiatives, which are designed to attract investments in essential projects in Qatar, have already been implemented, he said. These, the minister told the Oxford Business Group, are 'expected to attract billions in direct investments, in the process turning Qatar into a regional centre for logistics services and encouraging the private sector to participate effectively in industrial activities. HE al-Kuwari's interview with Oxford Business Group has been included in ‘The Report: Qatar 2019'. On the role of the government versus that of the private sector in driving growth, al-Kuwari said: 'Over the past few years Qatar's government has gradually narrowed the scope of its intervention while enhancing the participation of the private sector in the delivery of high-quality services. 'Qatar is developing a holistic public-private partnership (PPP) framework. We are also in the process of drafting a PPP law in line with international best practices. This will help the private sector to participate in profitable projects while ensuring their delivery at a considerably reduced cost to the government through a set of risk-sharing and cost-containment arrangements. Along similar lines, the Ministry of Commerce and Industry is also spearheading the development of manufacturing-related government policies and the promotion of national industries through the development and expansion of industrial zones. To what extent is the government's focus on strengthening trade relations and bilateral ties impacting local industry and inbound investment, the minister said, 'Over the past few years, Qatar has sought to cement its position as an open economy, expand its international trade and investment relations, and conclude bilateral agreements with numerous strategic partners around the world. To this end, Qatar has inaugurated Hamad Port, which can accommodate up to 7.5mn containers annually, and fast-tracked the development of Hamad International Airport. Currently, Hamad Port, which accounts for 27% of regional trade, is playing a key role in connecting Qatar to major commercial centres across the world, including Pakistan, Kuwait, Iraq, Iran, Oman, Turkey, India, Azerbaijan and other countries in Central Asia. Meanwhile, Hamad International Airport, one of the largest regional airports with a projected annual capacity of 50mn visitors, provides passenger and cargo movement to more than 160 destinations via Qatar Airways. Qatar also expanded its international trade and investment relations by concluding bilateral agreements with strategic partners around the globe. Asked how regulations for full foreign ownership in most economic sectors improve Qatar's competitiveness as a destination for investment, al-Kuwari said the government has enacted laws and regulations that have contributed to the promotion of an 'attractive investment environment to host various innovative and technology-driven economic and commercial projects. These laws offer foreign investors the opportunity to implement and own up to 100% of investment projects in various sectors. Qatar, the minister noted, has introduced major amendments to a range of existing legislation, including its law on investment free zones. The law provides many advantages and incentives for investors, particularly in terms of easing restrictions on foreign capital and the freedom to choose the legal entity of a project, as well as exempting capital assets, exports and imports from taxes and fees. Qatar has issued a law regulating the investment of non-Qatari capital in economic activity, which allows up to 100% foreign investment in all economic and trade activities. The law will increase the flow of foreign capital and bolster the level of confidence and investment security in Qatar, in addition to protecting local and foreign investors from the risks of side agreements, and advancing Qatar's ranking on various global economic indicators. Taken together, these laws will attract foreign investors and encourage them to invest in non-oil and gas sectors, particularly the fields of food security, sports, education, health and tourism, among others. These investments are expected to enable Qatar to sustain significant growth, driven by an increase in the contribution of the non-oil and gas sector, which accounted for about 52% of nominal GDP in 2017, the minister said.